White Rose University Press is committed to providing quality books and journals. We ensure the academic integrity of our publications through a number of mechanisms. All articles submitted to WRUP journals are automatically screened for plagiarism by the CrossCheck system from CrossRef. This system compares incoming articles to a large database of academic content, and alerts editors to any possible issues. As members of CLOCKSS (Controlled Lots of Copies Keep Stuff Safe) our content is regularly archived with many of the world's leading research libraries. 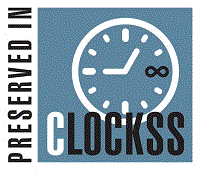 The CLOCKSS archive ensures that WRUP content will always be made available as open access, in any eventuality. WRUP uses open, non-proprietary standards for all of its content, meaning that it can be easily transferred to archives and other publishers. All of our article XML is compliant with the Journal Archiving Tag Suite (JATS) schema. All WRUP content is released under open licenses from Creative Commons.